Every journey begins with a single step – and for a disabled father, every step to the top of Mont Saint Michel in Normandy was a miracle. 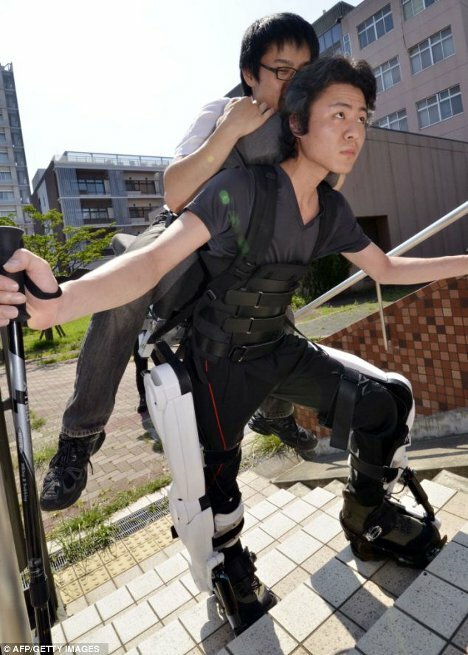 Seiji Uchida has been paralyzed from the waist down for more than 28 years, but with the help of a friend and a very cool futuristic exoskeleton, he was recently able to realize his dream of climbing the mountain. 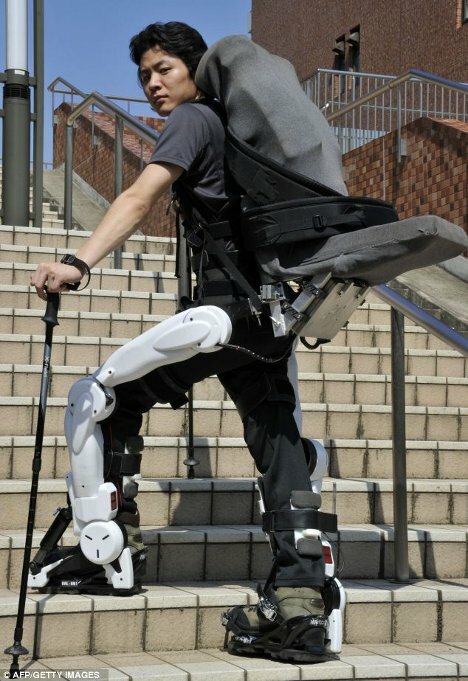 The suit is called the HAL, or Hybrid Assisted Limb, robotic suit. The picture at top is an industrial model, but the one directly above is a climbing model like the one Uchida and a friend used to ascend Mont Saint Michel. 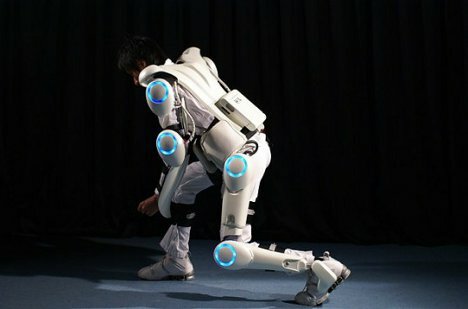 It works by sensing the muscle impulses of the wearer and transmitting them into movements – only, with the suit to assist, the wearer is crazy-strong. That’s how a regular man was able to carry an adult all the way up the small mountain on his back without getting overly tired. The HAL suit is rather like Tony Stark’s Iron Man suit, but as far as we can tell there are no weapons built into it. It’s just an insanely cool cyber suit developed at Tsukuba University and meant to give normal people super-human strength. HAL and other similar robotic suits are being developed for all kinds of tasks, from nuclear disaster cleanups to keeping factory workers fresh and fatigue-free while they work.